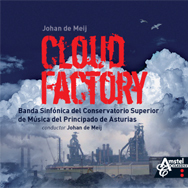 Cloud Factory is an industrial piece, inspired by the huge steel factory TATA STEEL in IJmuiden – The Netherlands. The locals call the compound Cloud Factory because of the massive amounts of steam and smoke produced day and night. 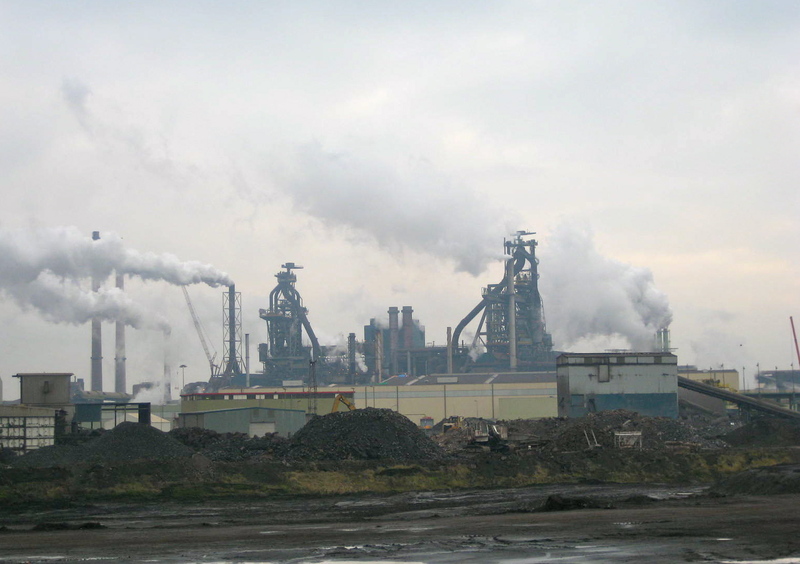 The opening section recalls the North Sea shore, the backdrop to the industrial site. The factory trains are heard next: they are transporting the raw materials to the various furnaces. A lengthy working process follows: obstinate pounding rhythms suggest the 24-hour activities of the factory. Towards the end, all wind players join the percussion section in making ‘metal’ sounds with empty cans and tin foil. - one group makes a raspy throat sound [like yawning]. * For the clarinet group [bar 91 to 150]: hold the 2 cans on the lid, so that they can bounce against each other in the indicated rhythmic patterns. * Starting at bar 231, each player gently lays down his instrument. Clarinets and saxes start to softly rustle their tin foil sheets. As of bar 255, every player starts to crease the 2 cans with both hands at different moments, starting very slow and soft, speeding up the creasing and getting louder towards bar 276. * Right before bar 276, everyone puts his cans down and right on the downbeat of 276, stomps the cans on the floor with both feet! At the same time, everyone starts a huge pffff sound over 4 bars, in a gradual decrescendo ‘al niente’.